The Blues coach has suggested that the former England and Russia boss should respect fellow managers. Mourinho: “I prefer to talk more of Fabio Capello in the many beautiful moments of his career." CHELSEA MANAGER JOSE Mourinho has hit back at Fabio Capello, after the Italian suggested that the Portuguese lacks longevity because he burns players out. Capello indicated his belief that Mourinho’s players become burnt out after a spell of 18 months or two years of working with the Blues boss, hinting that such a problem affected the 52-year-old’s time at Real Madrid. But the Chelsea manager has hit back at the Italian, suggesting that the former England boss should respect the work of fellow managers, especially when they are enduring difficult spells. “I read what Capello said. I think a coach with his story had better talk about football without comment on the work of his colleagues,” Mourinho told Gazzetta dello Sport. “I could have commented on his job as coach for England or the Russian one, and I never did. Because I prefer to respect the negative moments of my colleagues. Mourinho was also drawn on the public vote of confidence he received from the Chelsea board following the 3-1 defeat to Southampton, worryingly indicating that he has failed to find an explanation for Chelsea’s poor results. “That makes me proud. It shows the confidence of Abramovich in the manager who has won three Premier League titles with this club. I thank him and I keep working. “I do not know why the results with Chelsea at the moment are really bad. I can not nor want to hide the reality. And I struggle to find an explanation. 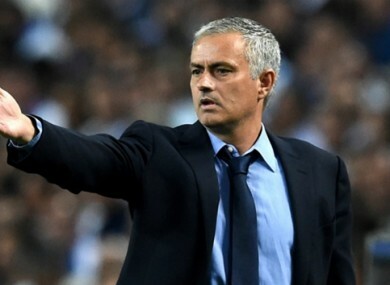 Email “Mourinho hits back at Capello after 'burnout' criticism”. Feedback on “Mourinho hits back at Capello after 'burnout' criticism”.